THE BRUCE 2 is our definition of a dirt jumper – tested, ridden and recommended for dirt jump, street and pump track by the ROSE Rad Squad Team! The frame has been revised and comes with a new geometry – pleasantly lightweight, yet durable and reliable. 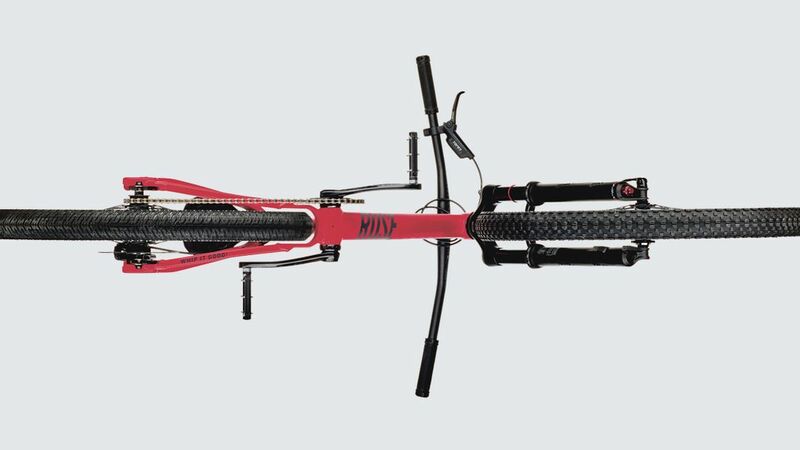 The entire bike is designed for manoeuvrability and agility. Thus, the chainstays are 15 mm shorter and the reach 5 mm longer – for spectacular tricks and long air time. New dropouts offer a high level of flexibility. Designed for 10 mm thru axle or quick release, they also allow for easy chain tensioning. The reliable RockShox Pike DJ 26" Solo Air suspension fork has already been tried and tested by many slopestyle riders and thanks to a robust 35 mm chassis, it can even do high drops. The Solo Air system inside ensures soft, smooth landings. Equally impressive is the SRAM brake with a 160 mm rotor for high braking power and easy handling. THE BRUCE rolls on Maxxis Ikon and DTH MTB tyres, offering a perfect combination of speed and grip. Robust KORE parts pass each test. An agile dirt bike for pump sessions, dirt spots or as a perfect training partner to learn new tricks and moves!